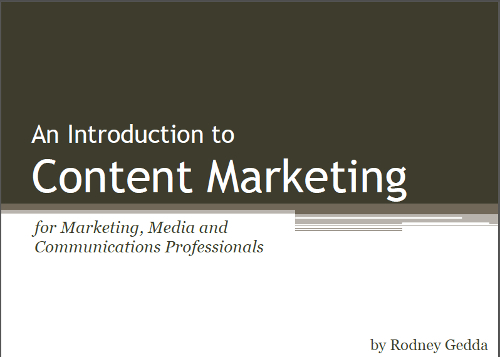 With all the recent talk about content marketing I thought I’d write a free report on my experience producing content as a journalist, marketing editor and market analyst. Content marketing has a definite buzz about it right now, but in my experience it is something that has been around for quite some time, but not known specifically as “content marketing”. I have written an introductory report on the topic and am making it available for free download and use (see licence terms below). I already do PR, am I the media? The report is licenced under the Creative Commons Attribution-NoDerivatives 4.0 licence. Basically, the report is freely distributable and can be used for both commercial and non-commercial use, but it cannot be sold, republished without full attribution, or included as part of a derivative work. If you are interested in using this report for reasons other than stipulated by this licence, please contact me for permission.